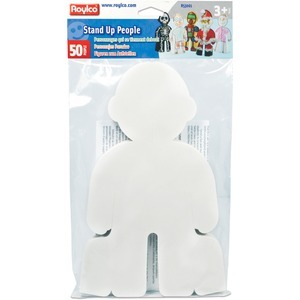 People cutouts feature a simple, clever design to make it easy to color and collage fun characters. Self-standing design requires you to simply fold back the leg flaps to stand them up for display. Its blank format can also be used to add a photograph to create a self-portrait. Cutouts are designed for children ages 3 and up.